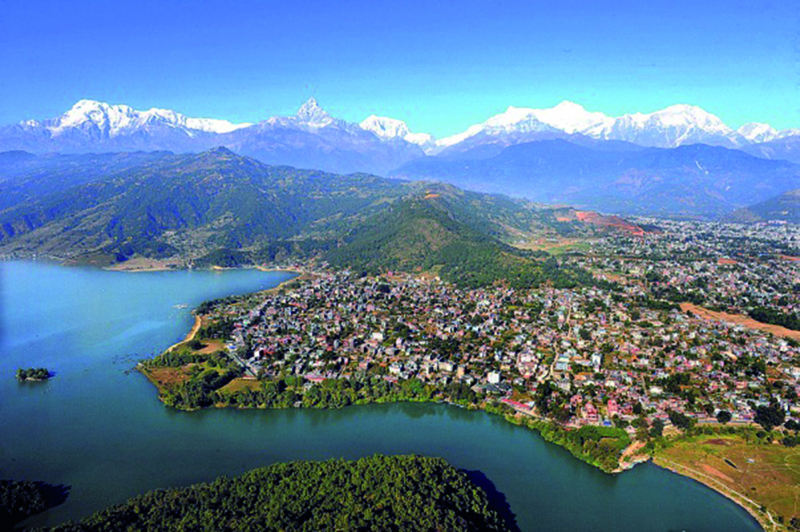 Republica Files A general view of the Fewa Lake, Pokhara in this file photo. 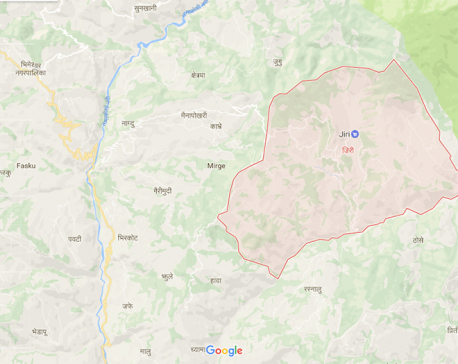 POKHARA, May 2: Pokhara residents are elated with the Supreme Court's recent verdict to destroy infrastructures that have been built by encroaching land around the Fewa Lake. They had been agitating against land encroachment around the lake for a long time. Following the apex court's verdict, they are now awaiting the government to implement the decision, which is expected to recover around 6000 ropanis of the land around the lake. The responsibility of recovering the encroached land has now come upon Pokhara-Lekhnath Metropolitan City. Its Mayor, Man Bahadur GC, welcomed the verdict stating that it was necessary for conserving the lake. “Everyone here was highly concerned over the matter. Locals are very happy with the decision. Now we are free to remove all the infrastructures, which were erected without the government's permission. If we are not able to destroy the buildings that have been disfiguring the lake even after getting such a clear order from the Supreme Court, we should no more talk about conservation, wildlife or any kind of development. We are going to do what we are supposed to do,” GC said. “So far, we did not have such a strong legal ground to take action. Now, the court's order has given us strong legal basis to take actions. We are going to free the lake from all illegal encroachers and reclaim its land,” he added. GC stated that around 6,000 ropanis of land will be freed from encroachers. “We have calculated that the move will recover around 6,000 ropanis of land around the lake. Fewa Lake will once again have its perimeter that it lost to encroachers over the years,” GC said. “If we cannot do this, it will prove us incapable. We have no excuse now, I think,” he added. His office states that the presently the lake has around 8,000 ropanis land. With the recovered land, its perimeter will expand to around 14,000 ropanis. Since there is no need to provide compensation for recovering the encroached land, it is expected to be an easy task, GC said. “The court has ordered for recovering the land and as such the encroachers can't claim compensation for the infrastructures that they have built,” he stated. Following massive land encroachment of land around the lake, the then Dr Baburam Bhattrai led government had formed 'Fewa Lake Conservation High Level Committee' to probe into the matter and take due action. However, the committee did not hand over the report to Bhattrai even though the committee had prepared after investigating the issue for several months. The committee had suggested recovering land from 950 individuals apart from companies. Since the report failed to show up any influence, land encroachers only gathered high morale, which resulted in even rapid land encroachment in the lake area. According to the then officers, the lake would not have lost more land, if the report's recommendations were implemented. “Though we should have corrected it in the past, it was never done. But now we all are very hopeful that the court's decision will free the lake from all the wrong doers,” said Bishwo Prasad Lamichhane, former president of Pokhara Valley Town Development Committee. In 1998, IUCN and in 2002 JICA, had handed over reports to the government urging to take steps to conserve Fewa Lake. However, those reports did not yield any result. “Fewa Lake should not be treated as just our asset. It is the asset of the nation as well as the international community. Now, we must free the land at any cost. 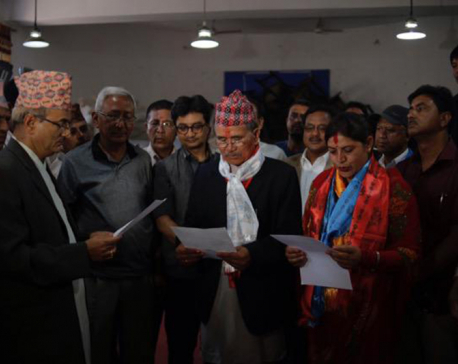 The local government must show that it has the will power to implement the order without delay,” Lamichhane said. Stating that the initiative could face some challenges including undue pressure from politicians and bureaucrats, he warned that leaders must stand firm in their actions and save Fawa from such encroachers. “If leaders show any kind of timidity, people will not spare them. Actions taken by the local, central and the federal government will reflect their strength. We will be watching each of their moves and I don't think people will spare them if they back off from implementing the court's verdict,” he asserted.